We think of the American South as a magical place with cheap workers, decent weather, and affordable land. This is true, but go further south to Mexico and you find all the same, plus better free trade pacts. Well, better if you're exporting cars. 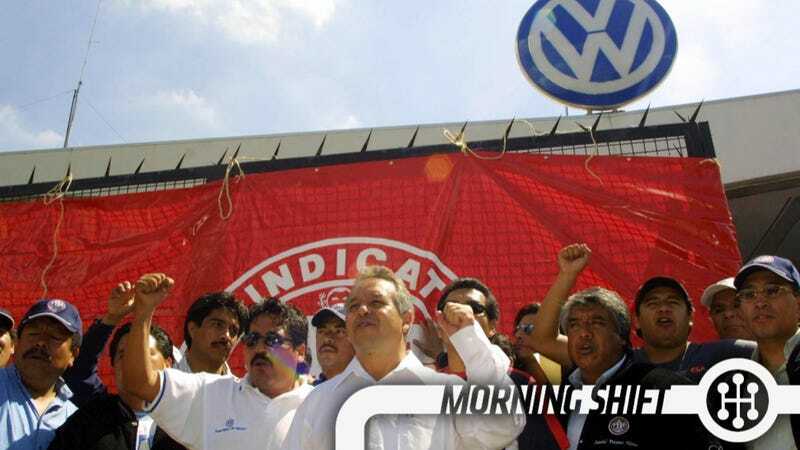 While the bulk of Mexico’s auto exports go to the U.S. and Canada, its partners in the North American Free Trade Agreement, auto makers increasingly are turning to Mexico as a platform for selling world-wide. The trade-related cost edge can be large. When Audi rival BMW AG ships cars to Europe from BMW’s two-decade-old Spartanburg, S.C., plant, it is hit with a 10% duty on each one. For a $50,000 vehicle, that $5,000 is a much bigger factor than differences in labor costs. In July, BMW said it would build a factory in Mexico’s central San Luis Potosi state to produce 150,000 still-unspecified vehicles annually by 2019. Mexico’s “large number of international free trade agreements...was a decisive factor in the choice of location,” BMW said at the time. There's a flip side to this, of course. All of that economic investment hasn't suddenly brought Mexico's living standards up to the rest of the NAFTA triumvirate and it's possible that certain free trade agreements could have a real cost for American workers. 2nd Gear: How Badly Do You Want Car Sales, Mr President? When the Obama Administration announced a corporate average fuel economy goal of 54.5 MPG by 2025, Texas T wasn't roughly at the same price per gallon as Texas icedea and there wasn't a sudden boom in pickup and SUV sales. While no reasonable person wants the EPA to back too far off of their goals (which have encouraged both efficiency and performance gains), no reasonable person wants the car market to suddenly crater. Officials would not outright say federal officials will have to lower the 2022-2025 corporate average fuel economy (CAFE) standards, but a review is under way and it appears consumer behaviors have changed. Green, during his presentation, said the 54.5 mpg targets are “not solid ground” because each automaker’s number is going to differ based on fuel economy credits, their mix of light-duty trucks and passenger cars, and other factors. Adjust, sure, but fuel prices are going to go back eventually... probably... and there have been more positive than negative outcomes. Now that FCA is a truly global company, it can make decisions about markets it couldn't make when it was just Chrysler. For instance, the "Chrysler" brand still exists in the United Kingdom even though they sold less than 2,000 vehicles there in 2014. Mostly, Chrysler sells the 300 and Town & Country, but everywhere else those vehicles are Fiat Lancias. This report comes from Auto Express via the Freep, who says that the company is encouraging Alfa Romeo and Jeep dealerships to combine. If I were in the UK I'd much rather be selling Jeeps right now. I admire Carlos Tavares, the former Nissan-Renault exec who left the company when he realized Carlos Ghosn won't retire from the head job until roughly around the time we put our first colony on Mars. Instead of waiting around forever, Tavares jumped to PSA Peugeot Citroen, which is the automotive equivalent of going from the Dallas Cowboys to the Dallas Vigilantes. The WSJ is killing it today, and has a nice interview that allows Tavares space to explain what he's done to turn around Peugeot. There’s huge overcapacity in Europe, which has destroyed pricing power. Growth can be generated at the expense of profit, but if there’s no recurrent profit, there is no future. Many people look at the top-line improvement as more important than profitability. But we are not a startup. There around 200,000 employees. It’s a three-million-car company. It’s a fine balance in the financials. Growth, yes. But only if it’s profitable. See, that's what I'm always saying. The cost of the massive war between Ze Germans over the luxury markets is a hit to profits, at least in the short term. The world’s largest luxury-car manufacturer expects pretax profit this year to show “solid” growth, which the Munich-based company defined as a range of 5 percent to 9.9 percent. That compares with a 14 percent gain in 2014 pretax profit. With Audi and Mercedes-Benz expanding aggressively, BMW is scrambling to stay out front as it prepares for a change of leadership in May. This year, the carmaker plans to introduce 15 models, including the new seven-seat Gran Tourer wagon and a revamped version of the top-of-the-line 7-Series sedan. BMW’s profitability from carmaking fell at the end of last year after the company spent more than planned to develop new cars. This doesn't bother me greatly because BMW does, indeed, need to invest in updating some of its lineup, as opposed to Mercedes, which is right in the thick of their new product onslaught. Also, BMW is still making money. On this day in 1933, American automaker Studebaker, then heavily in debt, goes into receivership. The company’s president, Albert Erskine, resigned and later that year committed suicide. Studebaker eventually rebounded from its financial troubles, only to close its doors for the final time in 1966. Neutral: Should We Expand Free Trade? Or do we not want those kinds of auto jobs?